Information about the countries leading mobile audio specialists in Chapeltown, Sheffield. The entrance opens into an open floor plan of nearly 420 square feet and the floor is covered with clean, rich-looking wood flooring. Around the store there are simple, yet well-executed displays featuring the latest in mobile audio technologies from some of the finest manufacturers around the world. We also have an onsite café with a comfortable waiting area with fresh tea and coffee as well as the daily newspaper and photo books of some of the work we have done for previous clients. Mr Paul Ellis is our Company Founder and Managing Director. 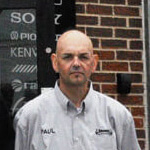 Paul has been involved in the mobile audio industry for more than 23 years as the Founder of Source Sounds and has a wealth of knowledge having started the business from the ground up, from an Auto Electrician into one of the most successful Mobile Audio/Security retailers in the UK. Before Mr Ellis gave into his passion for mobile audio he was involved in engineering, the detail-oriented industry provided Paul with the background needed to ensure that each and every system he designs exceeds the expectation of every client, and an intimate knowledge and understanding of our clients’ needs allowing him to personally adjust systems for optimum performance. Mr Lee Rush is our Lead Sales Advisor. 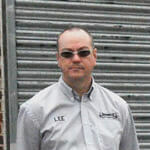 Lee has been involved in the mobile audio industry since 2001. His early car audio sound-off experience and love of music led him to eventually work for Source. He has extensive experience in the retail of mobile audio/security products, system design and troubleshooting, having been nominated for numerous mobile audio sales/service awards. His constant dedication to understanding mobile audio keeps him on the cutting edge of all new technologies. Having travelled around Europe competing in the Mobile Audio competition scene his experiences give him the ability to think differently about how to fulfill our clients’ needs. Mr Chris Ellis is our Director of Installation. 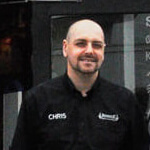 Chris has been involved in the Mobile Audio business for more than 20 years. His skill with high-end Audio systems ranges from fully integrated systems to radical Competition winning installations. He has worked with countless different vehicles and installation applications. His approach to everything he does has always been “How can I do this better?” With impeccable attention to every detail, Chris handles every system from a basic speaker installation to a fully customized vehicle, with an amazing amount of skill and attention. 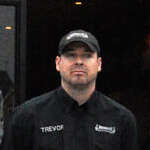 Mr Trevor Easton is our Lead Fabricator and a time honored installer with more than 21 years of custom builds experience. His exceptional skill with high-end fabrication ranges from fully integrated systems to radical highlight installations. Trevor has worked with countless different build materials and lighting effects and is widely known in the UK, having won numerous Best Installer awards. Trevor is more at home in the workshop and you will rarely see him serving in the shop, however he is in his element when building show-winning car audio installations. 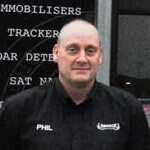 Mr Phil Boydell is our lead security specialist with more than 25 years industry experience. Rather than the expression ‘It can’t be done!’ the answer is always ‘Let’s have a bash!’ From his early years of making robotic products to his competing in security events Phil is always one step ahead of the rest. 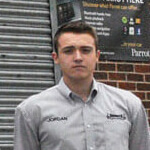 Mr Jordan Denton is the newest member of our team, he’s our Sales Assistant and our Social Media Developer. In the time Jordan has been a part of Source he has gained invaluable experience on mobile audio products to give our clients’ the best possible options for their vehicle. Whether it’s a simple audio upgrade or a complex system, Jordan will listen to your needs and give you the best possible solution that suits you. 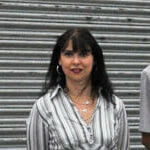 Mrs Dawn Browning is in charge of our Accounts, Dawn is responsible for keeping the company’s back office up to scratch and with her keen eye, not a penny gets missed! All our staff have been trained to IMI (Institute of the Motor Industry) standards and are Fully Qualified, and now working towards the ATA certification. In the back of our store, you will find a display window. Looking through you can see our installation facility. Around the room our workshop includes virtually every tool you can imagine to handle any job. We also use this separate area for our molding capabilities such as fibreglass, carbon fibre and acrylic. Also our installation area has access to an automatic battery charger to ensure your battery is properly handled while we work on your vehicle. There are air lines, power lines and a vacuum in the work area as well as a clean work bench for our technician to work on. There is a computer in our installation center to allow our technicians to access vehicle information databases as well as using electrical and acoustical diagnostic tools. When you receive your completed installation (on time, of course) you will find your interior has been vacuumed, radio preset and clock have been programmed and all settings for your system to perform properly have been carefully handled. We will then talk you through the work we have done walking you around the vehicle and pointing out key parts of the work completed, showing you how to use your new products and how to achieve the best from them. In the unusual case where there may be an issue with a product or some aspect of our installation you can expect quick and proper resolution including an explanation (not an excuse) as to why it might have happened. Before merely replacing the damaged or defective part, we will determine the ultimate cause of the failure, address that, and then replace the part. This will greatly reduce the likelihood of a repeat failure. While we are competitive with our pricing, you may in fact find certain items at lower prices in other stores or online. We are happy to discuss the possibility of price matching on comparable items (new, unmodified products with full manufacturer warranty) please be aware that when you trust us to work on your vehicle you are getting top-notch service from trained professional staff with a deep passion and understanding of audio and vehicle electrical systems. We feel this service is worth the extra money and are confident so will you. Why not come along and have a look at this amazing Mobile Audio retailer and see for yourself why we have been voted as the UK’s “Best Installation Company” by the UK’s mobile Audio Industry on numerous occasions. So our team are waiting to show you how we can exceed all your expectations. A BIG “thank you” to the staff at source,had speakers,amp,sub,head unit and cables fitted…great service,sounds amazing! !